As a seasoned sales professional who loves interacting with people from all walks of life, I’ve learned over the years that the best way to break the ice is to have real, meaningful conversations. We respond to genuine interest rather than pushy sales pitches. I go beyond selling; I provide real solutions to everyday problems. Having worked as a marketing specialist in the FMCG industry for the last 12 years, my philosophy in marketing is simple: it’s about providing unique and memorable brand interactions for users. Who doesn’t love personal gestures such as birthday treats, personalized recommendations based on our purchase history, or even a handwritten thank you card? It makes us feel appreciated and valued. That’s what drives me—crafting personalized moments that allow users to connect with the brand. If there’s one thing I’ve learned in my many years of working in HR, it’s that employee happiness is an illusion. We’ll always want more. That’s just human behavior. So rather than trying to keep employees happy, my approach is to discover what drives them, and keep them inspired with meaningful work and stimulating environments. That’s what I do: I manage employees’ expectations with purpose and meaningful visions. My 10 years’ experience as a Financial Planner has taught me that the key to effective financial management lies in one simple principle: keeping one’s eyes on the big picture. It would be understandable to focus on cost-cutting during economic downturns, but instead of going on the defense, it might be wiser to diversify and expand into new areas. That’s what I believe: taking calculated risks is essential for progress to happen. As a Chartered Accountant with 5 years’ experience working for multinational corporates, my mission is simple: to introduce new systems and processes that simplify daily workflows for higher efficiency and accuracy. The point is to minimize (if not eliminate) errors—the smallest accounting error can have a ripple effect on the rest of the organization’s books. My varied experience in IT (e.g. 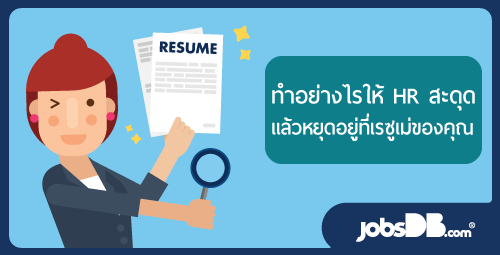 programming, software architecture, user experience (UX) designer, web developer, etc.) stems from a simple desire to empower human lives with computing technologies. The world is becoming smaller and smaller by the day. Geographical boundaries are disappearing; cultural differences are fading. The human race is coming together. That’s what drives me: helping to pave the way towards an empowered global society. After working in engineering for the past decade, I’ve discovered that my passion lies in creating products and solutions that contribute to a greener and cleaner world. It’s a worthy challenge that offers an opportunity to make a difference. I believe work is most meaningful when it allows us to shape positive change. It’s why I do what I do.